We are located in Covington Plaza in Fort Wayne. 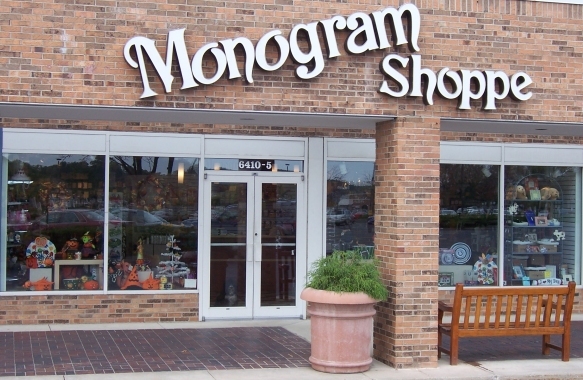 The Monogram Shoppe began in 1980 exclusively monogramming clothing . We have evolved over the years, and although we still do monogram a few of the items that we sell, we now offer personalized gifts and stationery. Weddings are our specialty; we have the largest selection of invitations in Northeast Indiana, as well as bridal accessories. Stop out and see us soon! Monday and Friday 10:00 a.m. - 6:00 p.m.
Tuesday - Thursday 10:00 a.m. - 7:00 p.m.